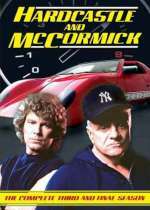 Hardcastle & McCormick: Mystery and Suspense on Television. 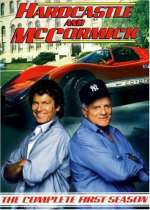 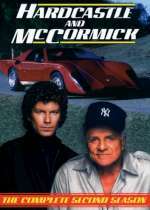 Hardcastle and McCormick aired on ABC from September 1983 through May 1986 and included 67 episodes over 3 seasons. 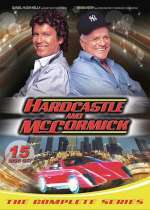 The series starred Brian Keith as retired judge Milton "Hardcase" Hardcastle and Daniel Hugh Kelly as professional driver and one-time car thief Mark "Skid" McCormick who is recruited by Hardcastle to reopen closed cased on criminals who were released on technicalities.